This society is dedicated to the conservaton of the cultural heritage on the island. by the Norwegian Polar Institute. has published some impressive and beautiful photos of his trip to Jan Mayen in 2009. Dufferin, Frederick Hamilton (first edition 1856): Letters from high latitudes. Being some account of a voyage in 1856 in the schooner yacht ‘Foam’ to Iceland, Jan Mayen and Spitzbergen. – London. Various editions are available, easy to find on the internet. 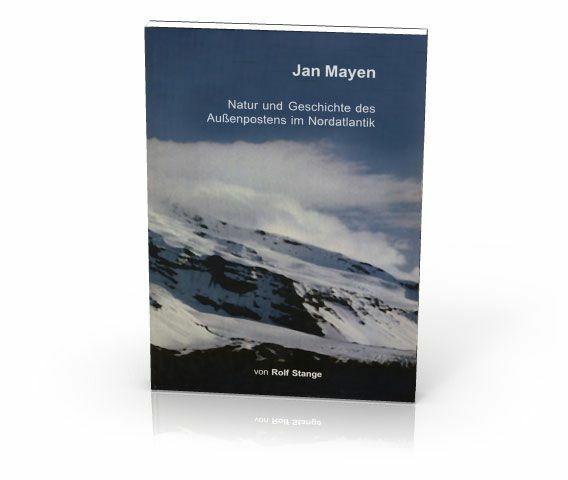 Hacquebord, Louwrens (editor, various authors, 1998): Jan Mayen. Vulcanic Island in the North Atlantic Ocean – published as volume 13 (2/1998) of the ‘Circumpolar Journal’ by the Arctic Centre in Groningen/The Netherlands. 111 pages, ISSN 0925-2177. Various articles on different subjects, ranging from geology to history. Barr, Susan (2003): Jan Mayen. Norges utpost i vest. Øyas historie gjennom 1500 år. – Second edition, Oslo, 266 pages, ISBN 82-300-0029-8. Comprehensive book focussing mostly on the history. Norwegian. Gabrielsen, Geir W.; Brekke, Bente; Alsos, Inger Greve; Hansen, John Richard (editors, 1997): Natur- Og Kulturmiljøet på Jan Mayen. Med en vurdering av verneverdier, kunnskapsbehov og forvaltning. – Norsk Polarinstitutt, Meddelelser Nr. 144 (1997), 127 pages. Inventory of the natural and historical heritage. Norwegian. Skreslet, Stig (editor, 2004): Jan Mayen Island in Scientific Focus. Proceedings of the NATO ARW on Joint International Scientific Observation Facility on Jan Mayen Island, Oslo, Norway from 11 to 15 November 2003. Springer-Verlag New York Inc., New York, NY. Lønø, Odd (1974): Norske fangstmenns overvintringer. Del II – Jan Mayen. – Norsk Polarinstitutt, Meddelelser Nr. 103, Oslo. The history of hunting and trapping. Norwegian.